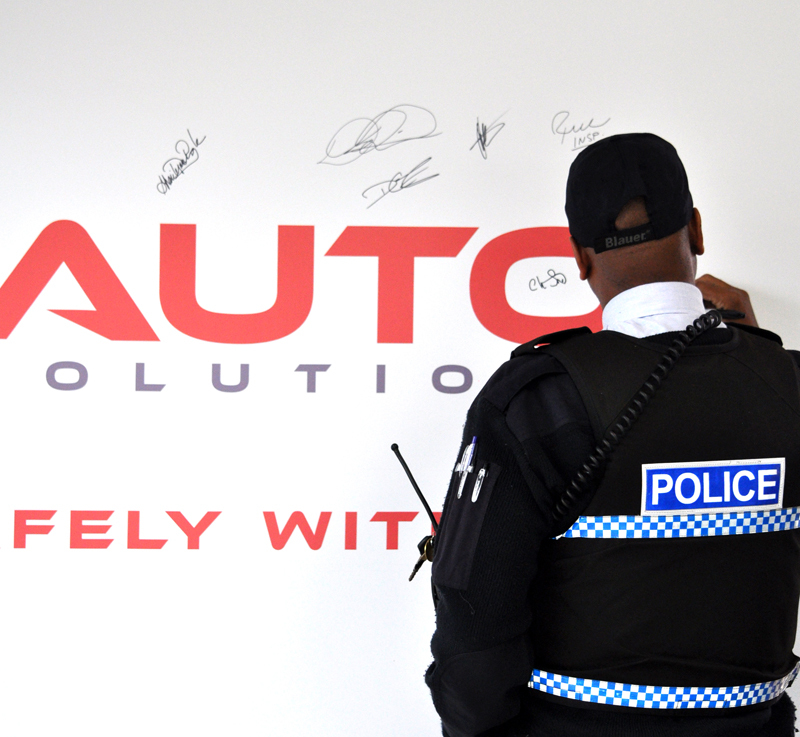 Auto Solutions launched a “Safe Driving” Pledge Wall that will be on permanent display in their showroom at St. John’s Road in Pembroke, and the dealership plans to encourage customers to sign the wall as a pledge to drive safely. To mark the launch of the Pledge Wall, Auto Solutions presented local charity, CADA, with a cheque for $2,500. Founded in 1974, CADA’s mission is to change Bermuda’s culture towards alcohol, reduce the incidences of drinking and driving and lobby for changes to Bermuda’s Liquor License Act and Road Traffic Act. Also in attendance at the launch were a number of local groups involved in the island-wide call for change on Bermuda’s roads. Among the attendees were Anthony Santucci, CADA Chairman, Dennis Lister III, JP, MP and Chairman of The Bermuda Road Safety Council, Shari-Lynn Pringle, Campaign Manager at A Piece of The Rock, Bermuda Police Inspector Robert Cardwell and a team of officers from the Roads Policing Unit. 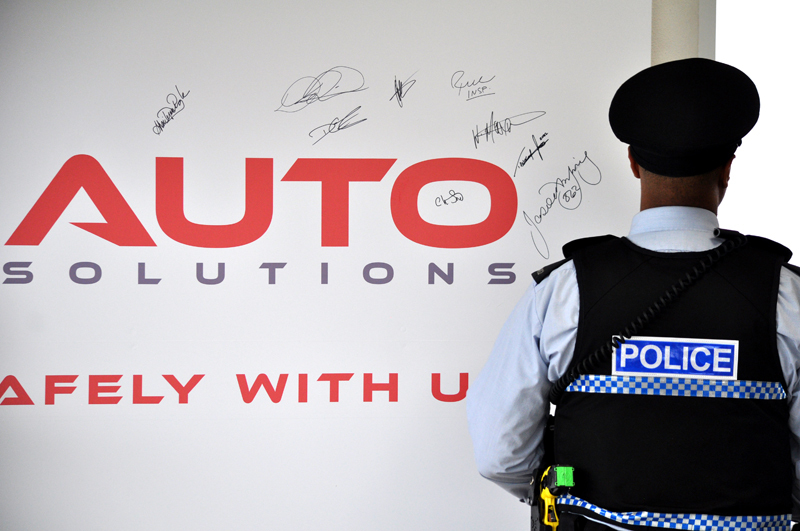 The Pledge Wall was the brainchild of Auto Solutions Sales and Operations Manager, Harry Andrews. 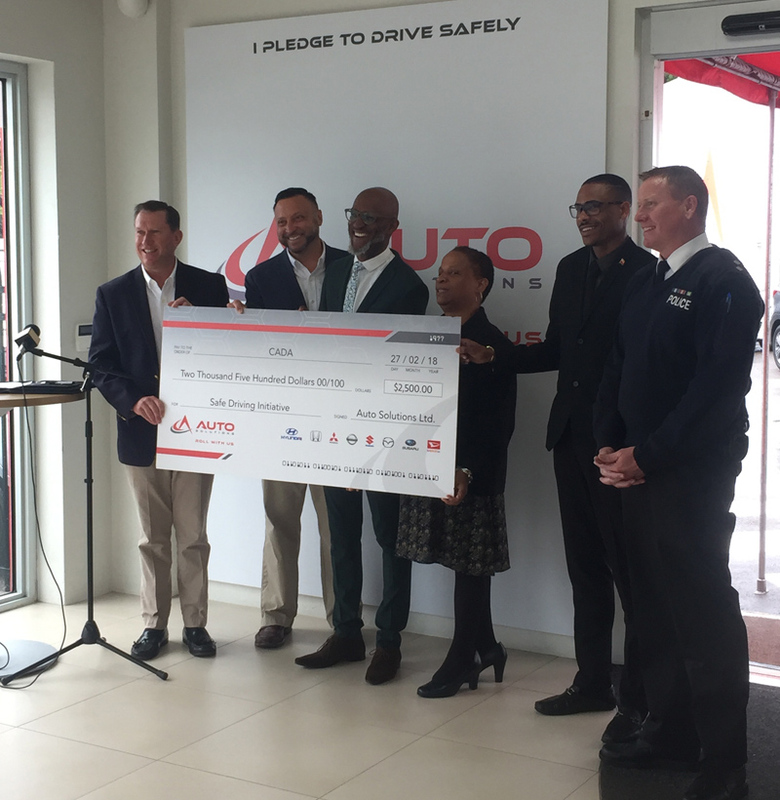 Glen Smith, Managing Director of Auto Solutions, also commented on the occasion saying, “It’s vital for us as an auto dealership, to get involved in this conversation surrounding road safety. We have seen far too many tragic accidents and lives lost on our roads and it’s high time for action from Bermuda’s stakeholders. I may sign the fender of my car + 50 years.